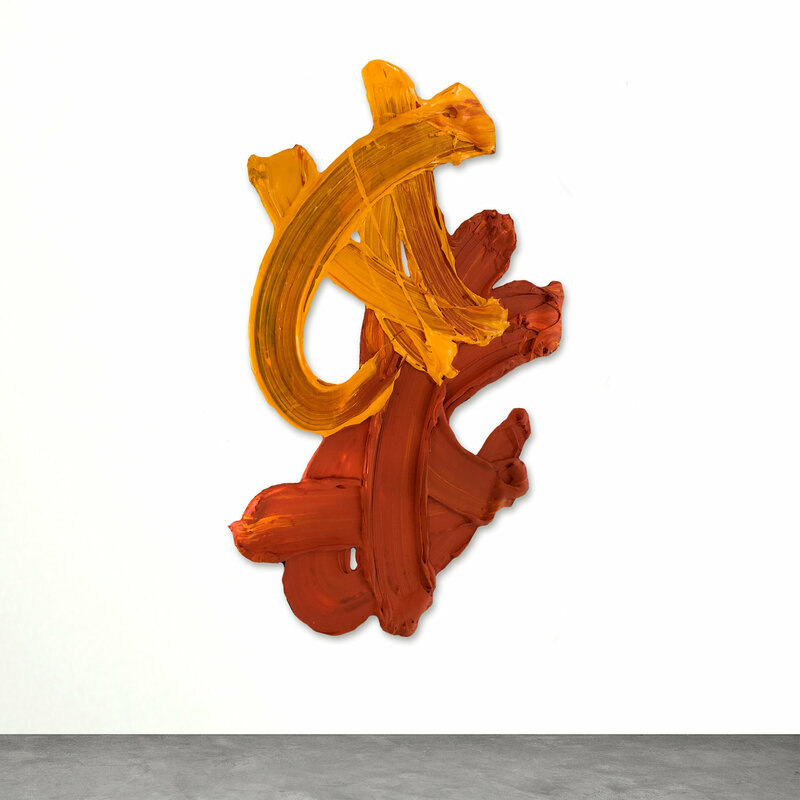 Noah Becker interviews painter Donald Martiny about his work. Discussing the germination of the ideas that inform his current work Martiny recalls: "A turning point occurred one day in the studio a little over a decade ago while I was starting a new painting—a de Kooning kind of gestural study. I had painted a single brushstroke in the middle of the canvas when I stepped back to decide what my next move should be. It suddenly struck me that any other brushwork would only diminish the power and integrity of that original gesture. It felt to me that any additional marks that I might make would only be in reaction to the edge of the canvas or simply filling in the negative areas. I imagined the substrate falling away from a self-contained gesture and immediately began to explore how to let the brushstrokes determine the form of the painting. Once I embarked upon that journey everything changed. Without defined boundaries or limitations to the form, I had to come up with a whole new paradigm of what it meant for me to create a 'painting.' This pushed me in every conceivable way to develop paint and support systems that would help me realize this idea."